Tags: Justin Bonomo, PCA, PokerStars. The second $25,000 Single-Day High Roller event of the 2019 PCA was held last Sunday, January 13, which attracted a total of 47 player entries that garnered a prize pool worth $1,128,470. Justin Bonomo is definitely on fire again as he outlasted everybody who participated to lock in on the top prize of $383,650. Of course, this is a great win to start the year for the likes of ZeeJustin, but it would possibly be hard for him to beat his last year's total achievements. Last year, he set an exceptional record for total money earned in a single calendar year by cashing in a sum of $25.3 million! Prior to this 1st place win, he already started 2019 with two 4th place finishes in the 2019 PCA $10,000 High Roller and $50,000 Super High Roller throughout the weekend. For this event, Justin Bonomo spent about 11 hours playing in total and managed to take down Jesus Cortes in a heads-up match. The final day began with eight players remaining. Each player had 100,000 chips to start with, and during the opening level Cortes got eliminated. Lucky for him a single re-entry was allowed for the event and he did not waste his second chance. Henrik Hecklen, Ike Haxton, Stephen Chidwick, and even Mikita Badziakouski also participated in this event but they all got eliminated before the money bubble would burst. Right after Badziakouski was sent to the rail, the final six players were all guaranteed at least a cash prize of $79,000. The final hand saw Bonomo and Cortes, and it was a tough battle with the chip lead position swinging back and forth between them. In the end, Bonomo's pocket sixes triumphed over the Spanish player's Q-5, and so ZeeJustin wins yet another sweet $383,650 and earns his very first 1st place title for the year 2019. 33-year-old Bonomo currently has almost $44 million in total lifetime live earnings according to The Hendonmob, and is in first place in the All-Time Money List. 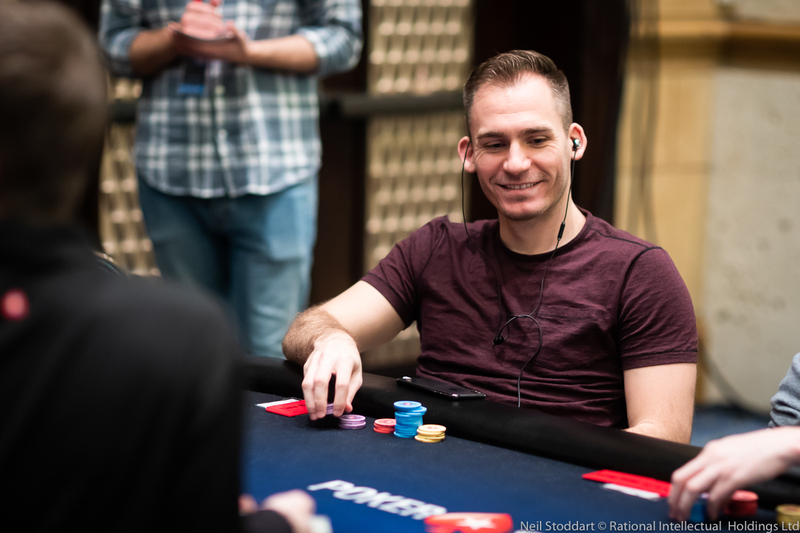 15 comments for "2019 PCA $25,000 Single-Day High Roller II won by Justin Bonomo for $383,650"
Not too many entrants this time. And who do we see winning again? Justin bonomo. Not only he did great last year, but he started this one, with the right foot. A good return for his 25k USD buy in. An entire list of players who participate in these games it would be very good. In this way we could also see what players have been enrolled in this tournament, to know what strong opponents Justin Bonomo had. Same with other games with a big buy-in. The number of players in these tournaments is small and the list is easier to do by casino employees. another win for this great player and another cashout for him!just few days we talked about him in other thread,how probably he will continue with his winning in 2019. and he done this in first days of january!who know where his end will be in this year! for rich players this is great format,beacuse you can make bigger money with less players on tournament or one table!ofcourse buy in high,no matter is it 10 K or 100 K,but you dont have to fight against 2000 players and you can spend less time to get nice amount! If you have the money for it, i dont see the reason selling action to anyone. Maybe to a couple of tournaments with huge buy ins. why would he want to share his winnings with others? At least now he is running hot? Justin Bonomo will enter in a select top from the world of poker. He will win large amounts of money in the future if if fate will be good with him. He is a player who learns poker very well and will be able to win bracelets in my opinion. He has grown as a level very much and at the awards same. It's not about sharing winnings, it's about getting through dry periods unscathed. Selling action is making sure you will have the opportunity to get into these tourneys without running up credit when you are not winning/getting ITM consistently. These kinda players burning through money as fast as they are winning it, he might be on a roll, but he might just getting back even. This simply cant be done and it is pointless. he can be just getting even money? I too think reading bowie and mober what say that most chance that justin bonomo has many winning and he has positive bankroll. But not say that situation when sell some percentage is bad because yoi can play more tournament with sake bankroll!